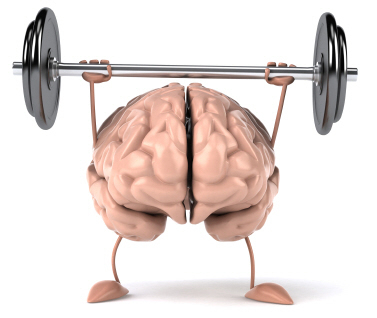 Mental strength just like physical strength is something we can train and work at. I know for me mental strength can have taken negative connotations at times, creating images of someone 'stone faced' or cold, uncaring fixated on goals, targets etc. Strong in this context does not have to mean a sacrifice or loss of other softer qualities. In Yoga we are always speaking of achieving balance, to have mental strength, one must for example have the courage to overcome fears, while also having the flexibility to learn from failure. One must believe in themselves and taking action while also learning from others, listening and taking on board others opinions. To improve your mental strength, it must be worked at, an issue that you wish to address must be faced and little by little changes made until a new habit is engrained in your way of behaving. Weaknesses in our ways of thinking can hold us back, can keep us stuck in habits, can inhibit us from flourishing. For me, I feel that mental strength equates now with a sense of knowing I'm making the right decisions in the situations or challenges I'm faced with, knowing with complete peace of mind how to move forward or act, without doubts of my abilities, or fear of the outcomes holding me back. Mental strength means moving with ease, being adaptable, being receptive, without reservations, without harm, without ego or concern for only ones own gain. To get unstuck in weaker mental habits, one must immerse oneself in uncomfortable situations, reflect on habitual responses and undo all those things that hold us back. It may seem appealing in many situations to blame others, or think of the past, or become consumed with things we cannot control, but all of these habits like the above article mentions do not exist in a mentally strong persons repertoire. Find the habit, and let it go, leaving room for more productive ways of being. Ultimately the mentally strong person will feel good about themselves, feel good about their actions and feel good about life. Things can and most definitely can and do go wrong but its how we deal with them that tests our strength and how we recover, learn and move on.